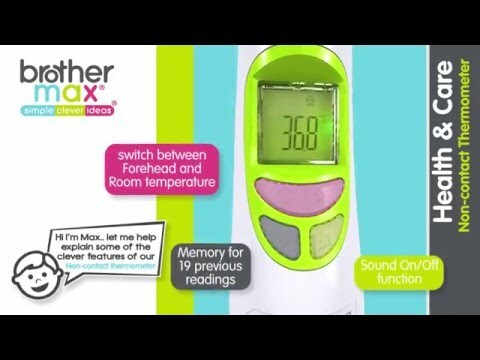 The Brother Max Non-contact Thermometer is silent and easy to use, making it perfect and suitable for the whole family. It can be used to measure your child’s temperature at first sight without contact. The handy memory function also stores the last nineteen previous readings.